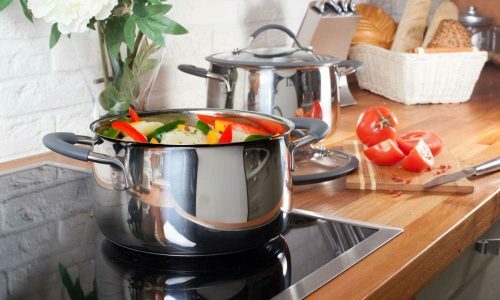 This stainless steel induction cookware set is built with 18/8 commercial stainless steel and an impact bonded aluminum base. 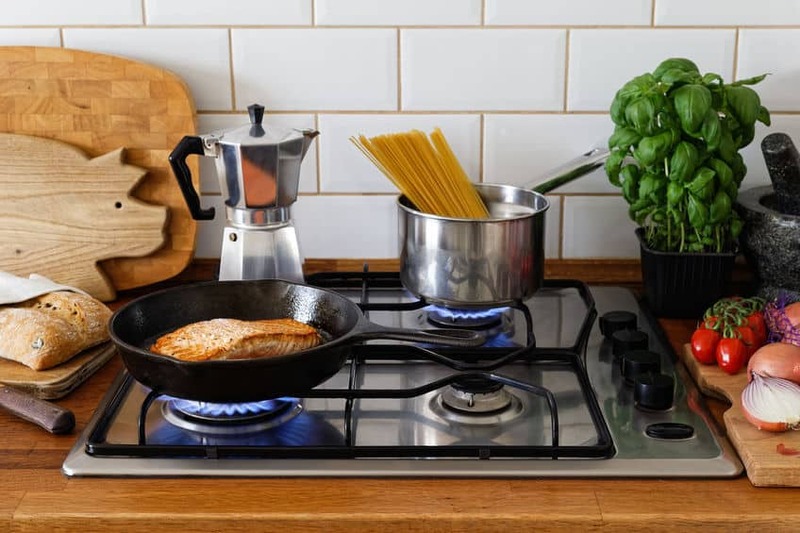 The pots and pans can be used on induction cooktops as well as on electric, gas, infrared, glass, and ceramic stovetops. They are oven safe up to 550ºF and can be stored in the refrigerator or freezer. This is a stylish all-inclusive cookware set. 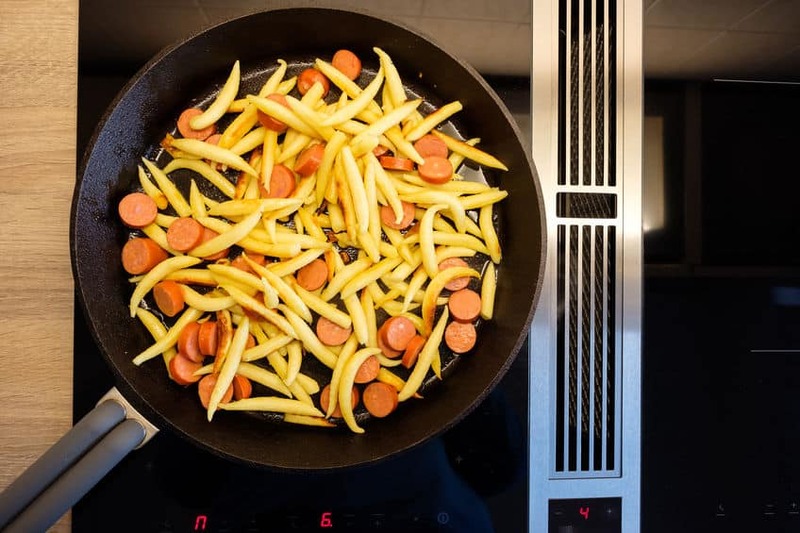 You'll have all you need if you are cooking for a social occasion or a daily meal. 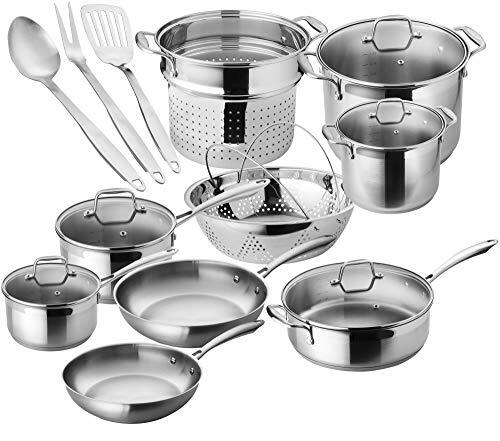 The base of the Chef’s Star 17-Piece Pots & Pans Stainless Steel - 17 Piece Professional Grade Pots & Pans Set - Non Stick Induction Ready Cookware Set w/Impact Bonded Technology – Toxin Free, Dishwasher Safe is comprised of three layers: stainless steel, aluminum (middle layer), stainless steel. The interior layer is 18/8 stainless steel. 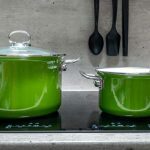 The bottom of the cooking vessels is encapsulated with an impact bonded aluminum, which helps ensure that the heat is distributed evenly throughout the base. Impact bonding is a procedure whereby pressure and friction and not adhesive, are used to form the bond between the base of the pot or pan (stainless steel) and the disc (a heavy gauge aluminum). In the manufacturing process, the disc is put on the base of the vessel, then placed in an impact bonding machine where pressure and friction are applied, resulting in the formation of a bond. 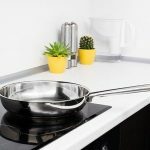 The sides of these pots and pans are single stainless steel with a thickness of .6mm (per Chef's Star customer service). The lids are glass and have a vent. They are high temperature resistant up to 482°F. The handles and rims are stainless steel. The handles are ergonomically shaped and have an anti-slip satin finish, ensuring that you don’t drop your food when transferring the cookware. The product comes with a one-year no questions asked warranty policy. I emailed Chef's Star customer service was a few queries and received a friendly, complete and timely response.